On August 24, 2018, Lawrence Derrell Elmer, 83, joyously reunited with the love of his life, Jacquelynn Jean, who preceded him in death. These Safford High School sweethearts were sealed in the St. George Temple of the Church of Jesus Christ of Latter-day Saints, a marriage of 63 years. Derrell dedicated his life to service. He loved his jobs and helping people. 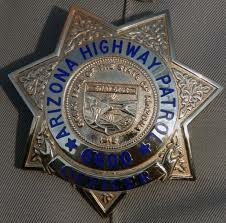 He was proud to be an Arizona State Highway Patrolman, patrolling Greenlee and parts of Graham counties. 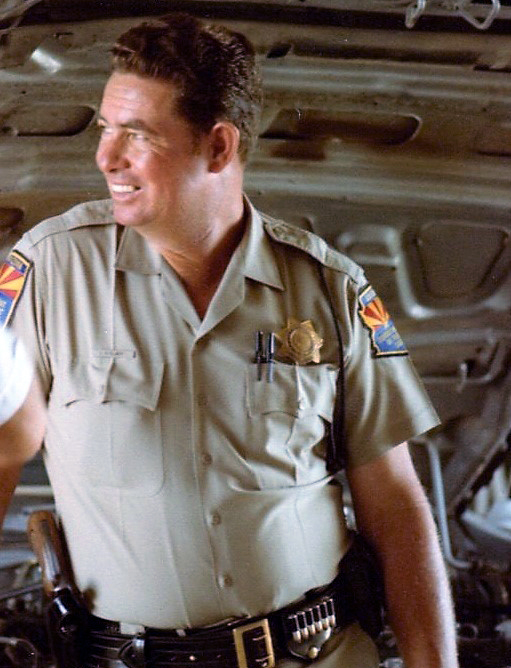 Those acquainted with him always knew he had a box of jaw breakers in his patrol car to hand out to those he came across. He retired from the patrol after 20 years of service but decided that wasn’t enough. 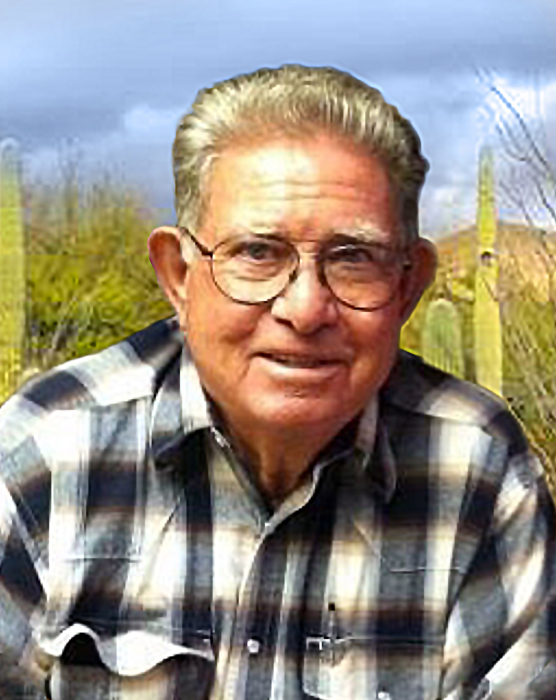 He went on to teach Industrial Arts at Sacaton Middle School and, after 20 years, retired from there as well. You could always count on Derrell. Dedication to his family and friends was one of his greatest attributes; he always took great care of those he loved. From figuring out how to build craft projects for his wife and daughters, to teaching his grandkids how to fish, hunt, and drive, he loved to spend time with his family. When asked what he wanted as a gift for birthdays or Christmas, his standard response would always be, “All I want is for my family to be happy!” He will also be remembered for his devotion and unconditional love for Mom. Derrell loved to hunt and fish, although he talked about it more than he went! He enjoyed taking friends and family on outings and making them custom fishing rods and lures. He was a skilled craftsman and enjoyed creating things from wood. He was known to build furniture so sturdy and heavy that it couldn’t be moved once it was in the house! With each church calling Derrell held, he gave his all. Whether it was home teaching, executive secretary, or taking the Scouts on outings, he earnestly fulfilled his assignments. He was so proud that all the young men he taught in his priest quorum went on to serve missions for the Church of Jesus Christ of Latter-day Saints. Derrell truly loved the Lord and the gospel. Derrell leaves behind his two daughters: Jeanne (Dan) Cybulski and Kristi (Brady) Belliston; five grandchildren: Amanda, Shannon, Dane, Jace, and Brenann; and seven great-grandchildren. He is also survived by his sister Carolyn Elmer Talley, and two brothers, Charles Elmer and Eldon Dallas. He is preceded in death by his wife Jacquelynn Jean Leonard, and son, Derrell Santry Elmer. A special thanks to his dear friends in Utah who kept an eye on him for his daughters: Jack and Jackie, Lee, Leonard, and Ray. Oh, and one more thing . . . we hope he’s still starting out every single day with his glass of cold Nestle’s Quik! At Derrell’s request, a simple graveside service will be held on Saturday, September 8, at 1:00 p.m. at the Bryce Cemetery in Pima, Arizona.